The reason Facebook viruses spread so quickly is that they are hard to discern from regular status updates, and they appear to be shared by people you trust. Many times, the virus link piques your interest and you almost can’t help yourself because you can’t believe someone would share that information online. That morbid curiosity is exactly what the hackers are counting on. One of the most popular viruses contains a link that claims to tell you who has been looking at your Facebook personal timeline. Although you may be interested to see who’s been looking at your timeline, Facebook doesn’t share that information with anyone. There is no app that allows you to see who has looked at your timeline, so you know it’s a fake link. Another popular trick is to use a link that allows you to watch a video of something “you won’t believe!” or even a supposed video of you doing something funny. If it’s a legitimate video, it will play when you click it. If you’re asked to download anything or allow an app to have access to your account, it’s probably not a legitimate link and you should cancel immediately. 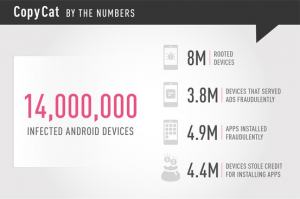 A powerful and fast-spreading Android malware strain dubbed Copy Cat has infected 14 million Android devices. Copy Cat also installs fraudulent apps directly to the device, using a separate module. The mobile malware successfully rooted over 54 per cent of the devices it infected, an unusually high figure that’s probably due to its use of five exploits as well as its overall sophistication. Researchers at Check Point Software said they’d encountered the malware when it attacked devices at a customer’s business. Check Point’s team subsequently retrieved information from the malware’s Command and Control servers before applying reverse engineering techniques in order to figure out the inner workings of the malware. The miscreants behind the campaign may have earned as much as $1.5m in fake ad revenues in April and May alone, Check Point estimates. Most victims to date hail from southeast Asia but the nasty has also claimed more than 280,000 victims in the United States. Researchers reckon the campaign spread via popular apps, repackaged with the malware and downloaded from third party app stores, as well as through phishing scams. Check Point reported the problem to Google, which has managed to quell if not extinguish the threat. It’s unclear who is behind the Copy Cat attack, however, there are some connections to an ad network located in China, according to Check Point. It has not been suggested that the network is linked to the attack itself. You can’t say that a specific type of malware causes a particular type of problem. Different malware types have unique names because of the way they work. That means that many malicious programs can perform the same tasks. The word “rootkit,” for example describes a dangerous form of malware that hides itself inside your operating system. Worms and viruses, on the other hand, are malware programs people to create to propagate between systems. Worms and viruses are similar, but they spread in different ways. 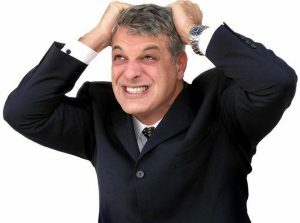 Cybercriminals design “scareware” programs to lock up computers until owners pay a ransom or make a purchase. Although malware types have distinct names and different objectives, nothing prevents a cybercriminal from designing a malicious program that happens to display pop-up ads. Chase bank gives an excellent example of a dangerous malware program that uses pop-ups to steal information. The bank cites a computer virus that opens a pop-up on a page a bank customer is viewing. Because the pop-up has the word “Chase” in its title, people may assume that the bank displayed the pop-up. Chase warns, however, that this is a fake pop-up asking people to enter confidential information. While this particular pop-up is not an ad, cyber criminals can infect computers with viruses that show pop-up ads similar to the Chase pop-up. HOW TO AVOID MALWARE FROM FACEBOOK. If you came across any Facebook Message with an image file (exactly .SVG file format) send by any of your Facebook friends, just avoid clicking it and do not share it. That is the problem. 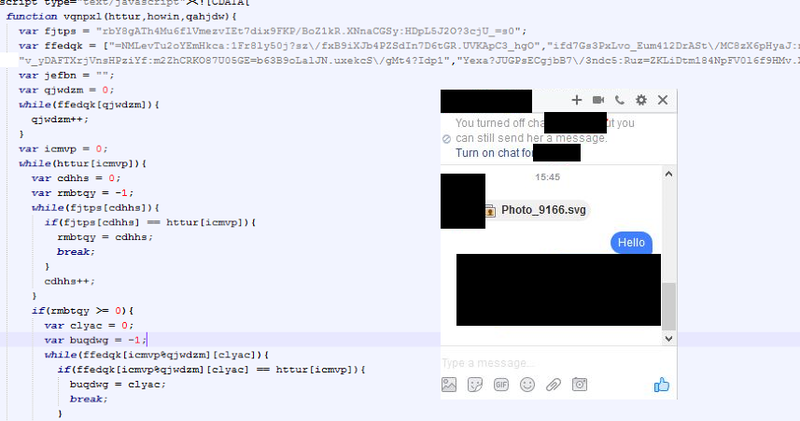 An ongoing Facebook spam campaign is spreading malware downloaded among Facebook users by taking advantage of innocent-looking SVG image file to infect computers. As the Chase example, shows, pop-ups that appear unexpectedly usually come from software running on your computer instead of on a Web page. These programs may be simple adware modules that get into your computer when you install another application. 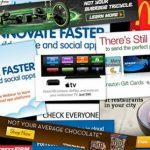 Adware programs are often harmless, but they can annoy you by displaying unwanted ads. Always read disclaimer messages that appear when you install free applications. Those messages may tell you that the app has the right to show you advertisements. Viruses, worms, rootkits and more dangerous malware types that live on your computer may display pop-up ads as well. Surf safely by installing an anti-virus program, keeping it running at all times and letting it scan all files you download. Free Software that is safe does exist. This link below is the Ninite center. I have personal used this website and installer programs for 5 years now. We have never had an issue nor have we tracked issues to this source ever as to be dangerous to users. Keep in mind these are 3rd party downloaded programs and other issues might take place in combination to programs all ready installed.